Cal State Fullerton linguistics professor Timothy Henry, Ph.D., left, and Franz Mueller, Ph.D. share a laugh during a conversation between lectures at the 2013 CSUF Linguistics Symposium in the Titan Student Union. 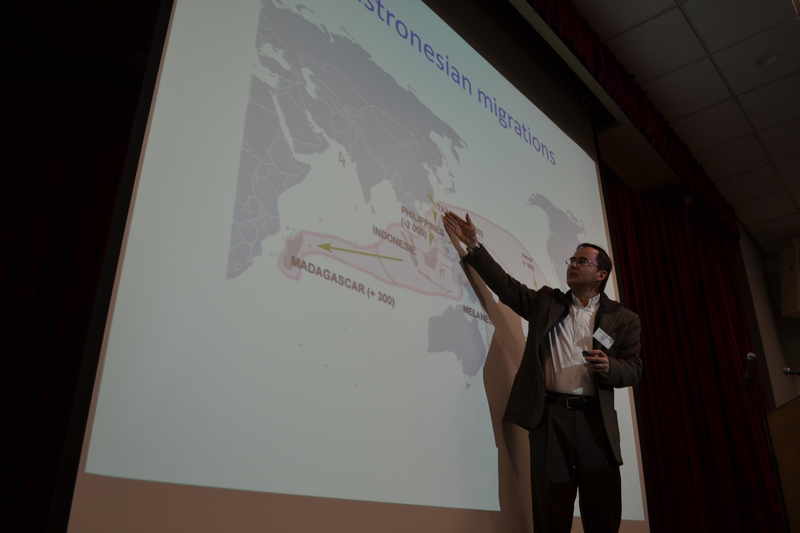 In the photo below, Professor Mueller talks about language variation in the South Pacific area. Photos by Tim Worden.